Reiki is a Japanese word meaning universal life energy. It is a gentle and powerful treatment that works with your energy to promote balance for health and well-being. Reiki is a technique that addresses both chronic and acute conditions. It gently and powerfully promotes balance among all the body’s systems and aids in the regenerative processes of mind, body and soul. Reiki is not massage and is performed with the client fully clothed. The practitioner gently places her/his hands on or above the head, shoulders, chest, stomach and limbs of the client. Very little to no pressure is applied and, though the technique seems simple, it can be very profound. Most people feel a deep sense of calm and well being. 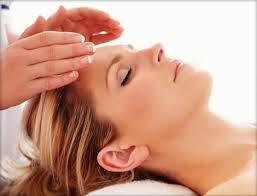 Reiki helps alleviate pain, muscle tension and stress. It can relieve anxiety and depression as well as promote a restful sleep. Reiki helps alleviate pain, muscle tension and stress. It can relieve anxiety and depression as well as promote a restfull sleep. Whether you prefer deep tissue or absolute relaxation, our Registered Massage Therapists will consult with you to provide the ideal treatment. Please come dressed comfortably without constrictions such as belts and little to no jewellery.